All SEDONA homes currently listed for sale in Helotes as of 04/20/2019 are shown below. You can change the search criteria at any time by pressing the 'Change Search' button below. "LOCATION/CONVENIENCE. Well maintained home, tucked away in the gated Sedona subdivision of Helotes, right off of 1604W and Bandera Road! This 4 BD, 2.5 BA has multiple living areas with all bedrooms upstairs. Exterior boasts covered front and back patios, fruit bearing peach tree and a nicely landscaped backyard. No home behind property, offering additional privacy. Lennox 4 ton upflow heatpump system installed 2013, 40 gallon water heater replaced in 2018, & roof shingles replaced in 2016." 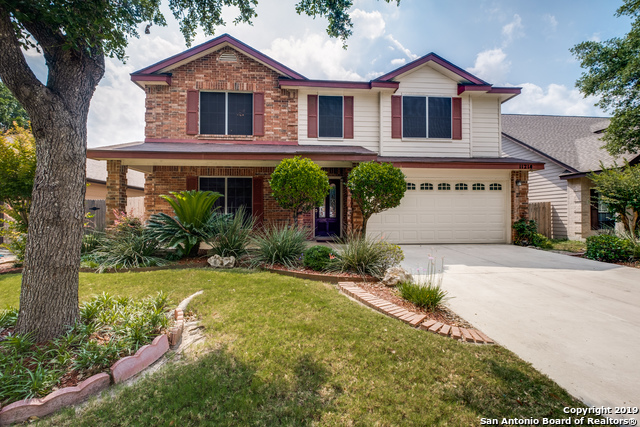 "Beautifully remodeled single story home in a gated community conveniently located near Bandera Rd and 1604, within the Northside school district, has been UPDATED TOP TO BOTTOM!! NEW FLOORING, NO CARPET, BATHROOMS REMODELED, GRANITE IN KITCHEN AND BATHROOMS, FRESHLY PAINTED INTERIOR AND EXTERIOR plus more to see..."
"**OPEN HOUSE 2/2/19 from 1pm-4pm** Move-in ready two story in the ever growing area of Sedona in Schertz. Home sits on an expansive lot located on a greenbelt. Large kitchen with glistening quartz composite countertops. Huge master bedroom with full bath featuring jetted soaking tub and separate shower. Sizable secondary bedrooms. Dining room located right off entry way. Spacious backyard with covered patio; with seller leaving playscape to new owners. 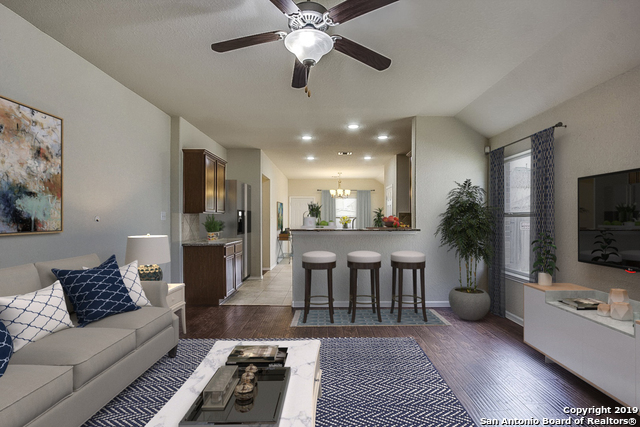 Convenient location to 135 and shopping/din"
"Built in 2010, this Schertz one-story offers granite kitchen countertops, stainless steel appliances, a walk-in closet in the master suite, and a two-car garage. Upgraded features include fresh interior paint. A community pool and park are part of the Sedona Master Community, Inc. Home comes with a 30-day buyback guarantee. Terms and conditions apply." "This 3 bedroom 2 bath has 1,714 sq.ft open concept with a formal dinning and breakfast nook with a living room to entertain. Kitchen includes all appliances with a walk-in pantry. Property is sold as is. Please do not request any fixings. Note: dimensions aren't accurate please recheck dimensions."